Larry Eugene Clements was born in Malvern, Arkansas, and was reared in Southern California. He was saved at eleven and was baptized by the Norwalk Missionary Baptist Church. Larry announced his call to the ministry when he was seventeen and entered California Missionary Baptist Institute and Seminary following his graduation from Norwalk High School in 1966. He earned his Bachelor and Master of Theology degrees in 1971 and 1975, and his Doctor of Theology degree from that school in 1982. He entered a Doctor of Ministry program at Dallas Theological Seminary in 2001 and graduated in May 2007. In 1968 Larry married Pat Madden and God blessed them with five children, Darius, Julie, Mark, Timothy and Deborah Sue. Darius and Mark are in full time-ministry, Julie is a public school teacher, Timothy is a Sergeant in the U. S. Marine Corps, and Deborah Sue lives at home. For thirty-three years Larry pastored four churches: Landmark Missionary Baptist Church, Arroyo Grande, California (2 years); Emmanuel Missionary Baptist Church, Hayward, California (8 years); First Landmark Missionary Baptist Church, South Gate, California (4 years); and Pauline Baptist Church, Monticello, Arkansas (19 years). 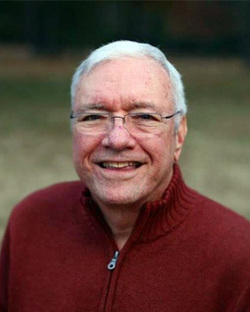 In June 2003 he was elected to serve as Editor in Chief of Publications for the Baptist Sunday School Committee and Bogard Press in Texarkana, Texas. He served the churches of the American Baptist Association in that position for eleven years, resigning in June 2014, after being called back to Pauline Baptist Church in Monticello, where he now serves as Associate Pastor to Senior Adults.